Your life is your own making. No one else but you and you alone is the one in charge of your life. You are the driver who steers the wheel and the direction or path that you take is and will always be your own making. 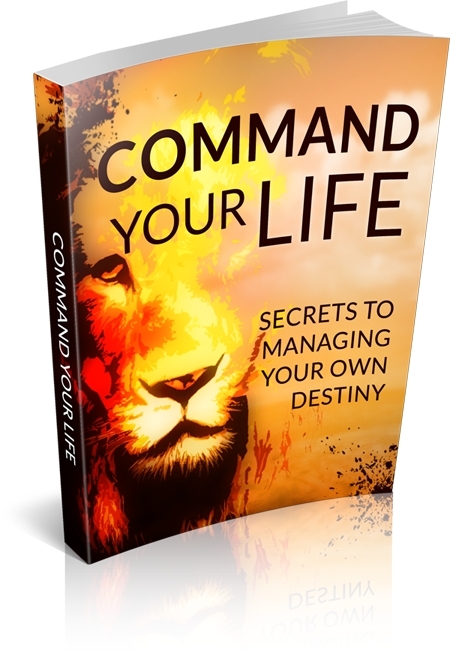 But how do you command your life to the exact path that you want it to take? How will you go about in shaping your destiny? In this ebook, you can expect to learn all the things that you need to know in order for you to take a full control of your life. After reading this, you will definitely find it easier to take charge of your life. For each day that passes, you either move closer to reaching your goals or you move much further away from them. Doing nothing will only move you away from your goals. When you stay still, you will lose your momentum and the inertia level of your current position will increase. To get moving toward your goals, this eBook will offer some steps that you can follow.